TV5MONDE is launching a fully digital and free “French Language” offer, accessible on all media and everywhere in the world. You will find 4 universes where you can learn, teach, discover and play with the French language, through a selection of TV5MONDE content. The French language in all its forms and for all audiences. This new website contains many exclusive videos specially designed for TV5MONDE’s “French Language” offer and social networks thanks to short, graphic formats and web series written by young French-speaking talents. Content for all lovers of the French language to avoid spelling mistakes and to shine at dinners! TV5MONDE offers a unique learning solution with more than 2,000 free exercises based on videos broadcast on TV5MONDE or contents langue-francaise.tv5monde.com. Understanding current events in French from TV news reports, enriching your culinary vocabulary with the magazine “L’Épicerie” or revising grammar points while travelling the French-speaking world with “Destination Francophonie”, there is something for everyone. This free website, specially designed for teachers of French as a foreign language, is full of resources and tools that make the courses motivating and interesting for students of all ages and levels. With the TV5MONDE pedagogical approach, students learn the French language to act and communicate in French. 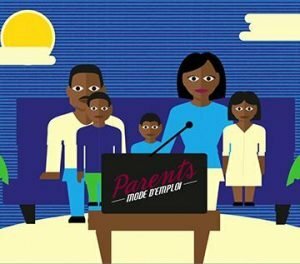 They talk about the family after watching an episode of the comedy series “Parent mode d’emploi, version gabonaise”, they express themselves on political issues introduced by a program “Le Dessous des cartes” or they engage in a discussion on social networks thanks to a music video from Stromae. The French language is also an infinite playground if you like to play with words and expressions. Will you be able to form as many words as possible in a minimum of time with the Lettris, the Tetris of letters? Also discover every month Archibald’s dictation, an original text declined by level of difficulty, on a theme, which sometimes meets current events such as fashion, gastronomy, the Tour de France, travel, science, mythology….